The Denon MC2000 controller is designed specifically for Serato DJ Intro software. The MC2000 is bus powered, has a built in audio interface and includes mic and line inputs. Considering purchasing the Denon MC2000? Have questions? Ask people who've recently bought one. Do you own the Denon MC2000? Why not write a review based on your experience with it. Great product, great service (price match) and great delivery time scale. Nice kit. Works very well with Serato software and extremely easy to use for a beginner (me!). Very solid; feels bulletproof. Gripes? No balanced outputs; only 16-bit DAC coverter output, so sound quality is decent but not exceptional. Also no level meters either. All of these problems solved by getting more expensive Denon model! I recommend that you buy the matching MB2000 bag, which has enough space in it for a laptop computer with its power supply. 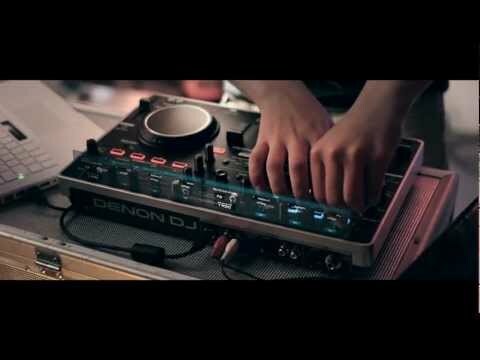 Seen a video for Denon MC2000 online or have you own video? Check out Denon MC2000 on DJkit.com!